“It looks like such a noble building, and yet there is something in its curious austerity which is unmistakable,” Lady Imogen Pennington said sadly. “Thank you, Adeline. I think I needed to hear that. What on earth would I do without you?” Imogen smiled and even gave a small laugh. As kindhearted as Lady Adeline Redmond was, she was equally practical and in no way sentimental. Of course, she had many long years’ service in charitable works which had helped to shape her ways, cool her sentiment, and turn the saddest of feelings into a bright sort of energy which gave her the impetus to be something of a formidable force. In resting pose, Lady Adeline Redmond’s face had the round kindness of late middle age. However, when she became intent on any subject, her countenance became something else altogether. Her relaxed and kindly brown eyes became small and shiny like little beads, and they spoke volumes of the shrewdness behind them. In fact, her ability to change demeanour so quickly often caught people off-guard and found them parting with more money for charitable works than they had originally intended to. More than once, Imogen had wondered if it was a well-practiced tactic rather than a natural propensity. “Jolly good, you know how I do not like to be argued with,” Lady Adeline said and laughed heartily. “So, do you think your friend will be able to secure us admittance? I mean, I think it would further our cause if we were at least able to see inside the workhouse.” Imogen turned her attention back to the immense building before her. They were standing on Princes Road in Lambeth, both facing the enormous Lambeth workhouse. The great beige stone frontage of the building seemed to stretch for miles, although she knew it did not. There were two single-story entrance ways attached to the front of the building, and the thought of walking through one of them sent a shiver down Imogen’s spine. In truth, she could hardly think that she would feel more nervous entering the doorway to the Bedlam. Of course, the workhouse was not exactly an asylum, but they no doubt shared inmates in common. Whilst the workhouse was intended to provide the most basic sustenance for the elderly, the poor, and the infirm, each one of those groups undoubtedly contained some people whose reasoning might otherwise, on a different day of the week, have seen them locked away in an asylum. “And as much as the rest of the country might not care to admit it, enslavement it is,” Lady Redmond agreed and nodded firmly. “You are welcome.” Imogen laughed and shook her head. There was not a person in the world, barring her father, whom she cared more about than she did Lady Adeline Redmond. Imogen could hardly remember a time when Adeline was not something of a feature at Pennington Hall, her father’s estate in Hertfordshire. Adeline had always been a regular attendee at events in her father’s home right back to the days when Imogen’s much-adored mother had still been alive. 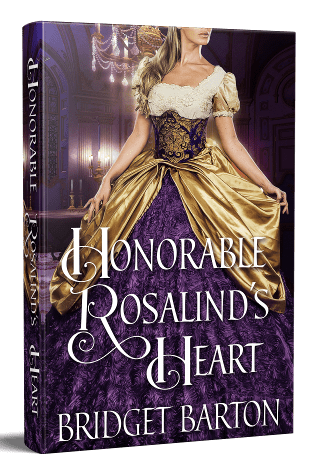 And since Lord and Lady Pennington had always been famed for entertaining people they wanted in their world rather than people they thought ought to be in their world, it was clear to Imogen that Adeline had always been a welcome visitor. Her father, in particular, had always enjoyed the company of people whom he described, in his own words, as having something about them, and Adeline certainly had that. Lord Pennington liked interesting people as opposed to influential people, and his wife certainly had no objection to his outlook on life. Imogen had already held Lady Adeline in high regard by the time her own wonderful mother had died and, in no time at all, Lady Adeline’s kindness and bustling attentive manner had seen to it that the two had become firm friends. In truth, their friendship had a mother-daughter quality to it and likely always would. After all, there were three clear decades between their respective ages, and Adeline had stepped in at a time when Imogen, at just sixteen years, was at her most vulnerable. She had lost her mother and had been looking all about her for someone who might go some way to easing the loss. And there was Lady Adeline Redmond; young for a widow, and awfully, awfully busy almost all the time. “I suppose that is the problem with charity work, my dear. What you have seen of it so far has been the hustle and bustle of small and very personal acts of charity. They all seem to happen quickly, and the gratification is almost instant. But we are not simply talking of charity here, Imogen. We are talking about great changes which are nipping at the heels of social reform. Really, that you cannot find a little patience for something so great.” Adeline was teasing her again and laughing warmly. “Yes, that is precisely our goal, Adeline.” Imogen nodded vehemently, her bright red hair threatening to break free from the clips which barely contained its great tresses on the back of her head. “Then we will arrange as many events as we can,” Adeline said, linking her arm through her young friend’s and turning her to walk back in the direction of her carriage which was parked at the top of Princes Road. “But that will take forever. What we really need …” Imogen stopped walking and stood in the middle of Princes Road with her mouth agape. “Have you thought of something or are you just a little unwell? Do close your mouth, dear,” Adeline said, looking at Imogen with an amused sort of concern. “Have you indeed?” Adeline raised her eyebrows. “Are you really, in all honesty, suggesting that you and I attend this year’s London Season?” It was now Lady Adeline’s turn to stand in the middle of Princes Road with her mouth agape. “That is precisely what I am suggesting.” Imogen’s smile was as bright as it had ever been. “There is always so much to think about before one sets off for London, is there not?” Veronica Montgomery, the Countess of Reddington, flung herself down onto the velvet covered couch as if the whole idea exhausted her. “Then why go, Mother?” Lady Prudence Montgomery, Veronica’s daughter, shrugged dismissively. “I should very gladly stay at Reddington Hall and miss it, Brother,” Prudence bit back. “That is enough, Prudence,” Heath hissed and glared at his sister firmly until finally, her head dropped. “And of course, she must be wealthy,” Prudence added, in a mock attempt at helpfulness. “Because of generations of good marrying. I myself brought a good deal of my own family’s wealth into Reddington when I married your father. Again, it is the way of the world. I could not bear to think that Reddington would not stay in the Montgomery family for generations to come simply because we either ran out of money or ran out of male heirs. That would be laziness and poor management on our part, and I will not have it.” Lady Veronica rose to her feet from the sumptuous couch. “Really, you have given me a headache. I shall lie down for a while. Prudence, have some tea sent up for me to my rooms.” And with that, Lady Veronica floated from the room in a haze of sky blue chiffon that did not suit her for a moment. “I do wish you would not upset our mother like that, Prudence,” Heath said, although his tone was decidedly less chilly now that his mother had left the room and was a witness no longer. “And I do wish you would not always side with her, Heath. At times, I feel I have no ally at all under this roof,” Prudence said sadly. “What a thing to say, Prudence. I am your ally, am I not?” Heath crossed the room and sat down on the pale green velvet-covered couch his mother had just vacated. He patted the seat beside him and looked at his sister hopefully. “Come and sit with me,” he said in cajoling tones. “As you wish,” Prudence said although the animus had left her own voice also. “I know that you think that our mother favours me over you, but she does not really.” Suddenly, he found himself keen to make his sister feel a little better. In truth, he did not always feel so, thinking that it was only right that their mother put all her efforts into his life since he was the Earl after all. However, now and again, it struck him that his younger sister always seemed just a little on the edge of things, a somewhat lonely figure in a sprawling mansion. Of course, he had always known that his mother was not a particularly maternal sort of creature, but he sometimes wondered if that did not hurt a daughter very much more than it hurt a son. “And money,” he said and gave her what he hoped was a disarming grin. “I say, you are a little too wise for just twenty years, are you not?” He grinned at her, but she did not grin back. “You do not have a moment’s faith in our mother, do you?” he said and felt a little torn. Whilst he knew that much of what his sister said was, indeed, quite true in terms of their mother, still he did not want to confront the whole thing. And his mother was no different than many other mothers with a son who was a man of great title. To be obsessed with heirs, bloodline, and family name, not to mention an Earldom which stayed within the Montgomerys forevermore, did not set the Countess of Reddington apart from so many other women in her position. “It certainly is not mine,” Prudence said a little harshly and in a way which reminded him of her as a little girl. Prudence had always given her opinions most decidedly and seemed to have been able to see clear through their mother at such a young age where he had not. Well, he had not bothered to try, at any rate. “Prudence, you are always ready to fight with me; why is that?” Heath said, his humour still good. “I know you do, Prudence,” Heath said and sat back against the padding of the couch and stared across the room. In truth, he had wanted to take his sister’s hand as she sat there beside him. He had wanted to comfort her and, at the same time, gain a little comfort for himself. After all, was that not the benefit of having siblings? However, he knew that they were certainly not close enough for such a thing and, something inside him did not want to contemplate the rejection that would inevitably follow such an act of closeness. Instead, he looked out across the vastness of the drawing-room. It had been newly decorated in a pale green which contrasted smartly against the dark oak paneling of the walls. Despite the many and varied portraits which hung on every wall, still, the pale green colour seemed to be the primary of the room. Many of the couches and chairs were upholstered in a similar sort of green, with one or two chairs covered in brightly contrasting and regal red velvet. The many rugs on the wide and dark oak floorboards were also in red, as were the rich drapes at the enormous windows. When he had agreed to spend the money on the new decoration, Heath had to a high degree left the decisions upon the scheme to his mother. In truth, if she had one good quality to her name, it was taste. Lady Veronica knew that ostentation should always end just at the point at which it might be noticed. That way, she achieved a very wealthy and rich look without it seeming at all out of place or overdone. As his eyes wandered the room, they settled upon the largest portrait; that of his own father when he was of a similar age to Heath himself. As had been pointed out by almost every visitor to Reddington Hall who had made their way into the drawing-room, the resemblance between father and son had been striking. A person could easily be forgiven for thinking the portrait to have been a recent one of Heath, so alike were they. Although the portrait was head and shoulders only, there was something about his father’s bearing that would rightly lead anybody looking upon the richly painted oils to assume that he had been a tall man. And Heath had inherited his father’s height with an inch or two to spare, which almost always rendered him the tallest man in the room at any given social event. Not only the tallest but very much the broadest. He had not only inherited his father’s great height, but also his strong, sturdy build and straight back. However, whenever he thought of his father, it was in his later years and never as the young man he had been in the richly and faithfully painted portrait. It was only as he sat dwelling upon his sister’s prediction for his own matrimony did he wonder how it was his father had taken to his own. After all, he had been not much younger than Heath when he had married Veronica Darlington, the daughter of a minor baron in Bedfordshire. He could not help wondering if his mother was as intent on the continuance of the Montgomery family line back then as she was now, or had it been only something which had developed as she watched her own son grow? Veronica had, of course, come from great money and that seemed to have shaped her personality, much as it did in almost everybody else he knew. But for some reason, everything seemed to be so much more pronounced in his own mother, and he silently wondered if his sister, far from being a jealous sibling or a disgruntled child, was actually a little more accurate than he was comfortable with. “I meant what I said to Mother, Heath. I would much rather stay here at Reddington than go to London for the Season,” Prudence said, suddenly reminding him that she was still there. “I had not imagined for a moment that I would be allowed to,” Prudence said silently and rose to her feet. Without another word, she made her way out of the drawing-room, and he realized, somewhat sadly, that what might have been a moment of closeness between them had most definitely passed. 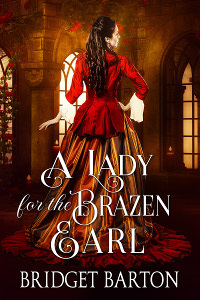 “A Lady for the Brazen Earl” is an Amazon Best-Selling novel, check it out here! When Lady Imogen Pennington falls upon the idea of using the London Season as a means of raising funds for a charitable scheme, she thinks it will be the simplest of things. With her friend, Lady Redmond at her side, the two embark upon a mission to attend as many social events as possible with the intention of opening every wealthy purse in sight. But it is all for a good cause; and a heartbreaking one as Imogen discovers when she and Lady Redmond find themselves wandering the dismal corridors of a workhouse for the poor of Lambeth. Heath Montgomery, the young and arrogant Earl of Reddington had always enjoyed a life of privilege, free from cares and conscience. Looking forward to the London Season as always, he allows his determined mother a little latitude in searching for a wife for him; one with wealth of her own to swell the coffers of the Reddington Estate. Miss Jemima Ravenswood, daughter of a rich and ambitious Baron, seems to fit the bill. She is beautiful and as keen to secure herself a title as her father is. 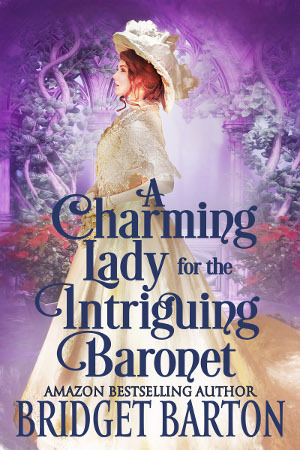 But when the Earl finds himself crossing conversational swords with the caring and tenacious Lady Imogen, he wonders if beauty and fortune are enough for him anymore. When he finally falls for the curious Lady Imogen, will the Earl find he has gone too far and been too arrogant to ever win her heart? 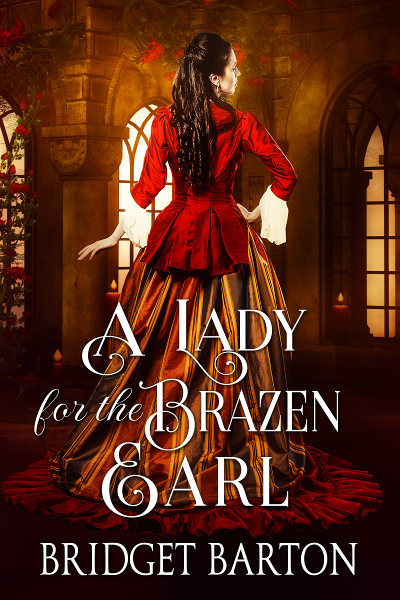 “A Lady for the Brazen Earl” is a historical romance novel of approximately 80,000 words. No cheating, no cliffhangers, and a guaranteed happily ever after.